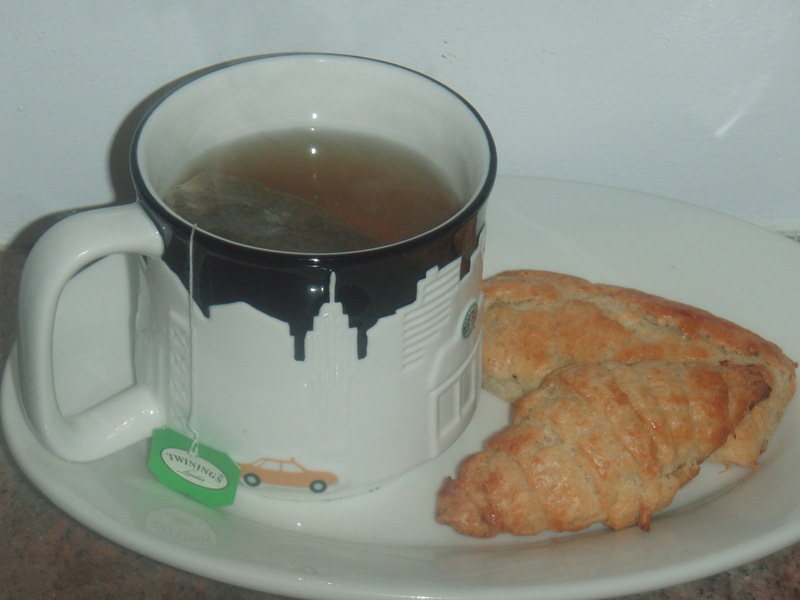 Croissants are one of my favorite morning pastries. 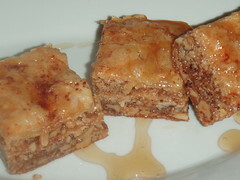 They’re flaky, savory and delicious and I’m shocked I haven’t made them before now. This past week in baking school was pretty hectic. The plan was to make chocolate butter-cream filled macaroons, butter croissants and chocolate croissants, but we ran out of time and only had enough time for the macaroons and the preparation of the croissant dough. Since I had my hopes up for some fabulous croissants the next morning (and I’m too impatient to wait a week!) I decided to make them on my own. 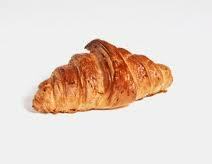 Interesting to note: have you ever noticed that there are some croissants that are straight and others that are curled? Well, apparently this is not just a preference of the bakery, it actually has meaning. 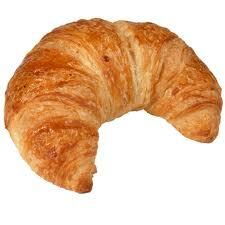 In France, a straight edged croissant is made from butter whereas a curled croissant is made from margarine. It is a way to cut costs since good butter can be very expensive, so the curled croissants are often cheaper, but the strait ones are better quality. 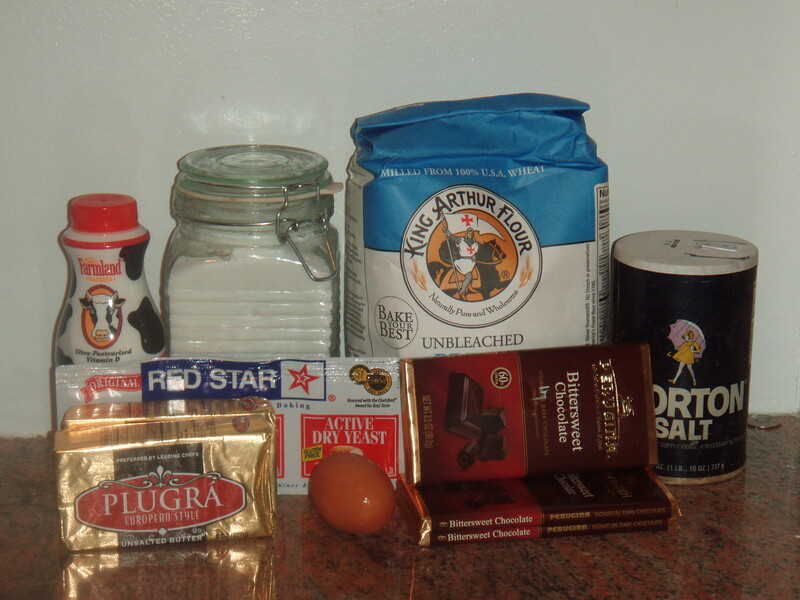 Combine the flour (make sure to see the note below with regards to the bread flour), sugar, salt and yeast (if dry yeast) in a mixing bowl. If you’re using an electric mixer you are going to use the paddle attachment to combine the ingredients. Then add the softened butter and mix. If using fresh yeast, dissolve it into the water and mix, then add the liquids into the dry mixture and mix until just combined. The dough will be flaky and won’t come together as other doughs you may have worked with. Don’t add more liquid to it because it is supposed to be like this. Kneed it in the bowl a little until it starts to come together and then place it on your work surface, kneed lightly into a ball, wrap in plastic wrap and chill for 30 minutes. The composition of your dough right now is a precursor to how your croissant will turn out after baking. 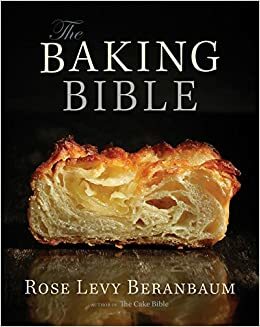 A croissant is very flaky, light and airy, so if your dough is thick, wet and dense it is going to prevent the dough from rising properly which is what gives the dough its texture. 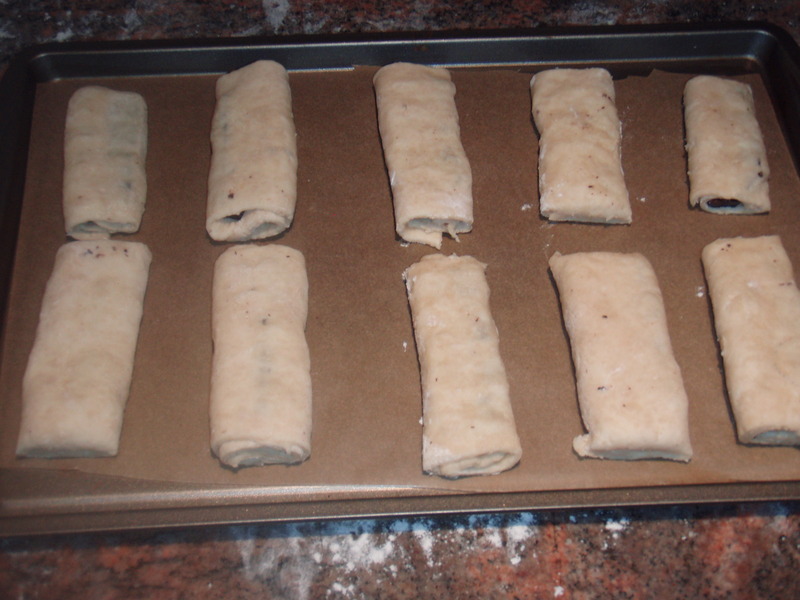 As with the Puff Pastry, you are going to turn the dough after it has rested. Unlike the Puff Pastry, you are only going to do 3 turns to the dough. Doing 6 turns will make the croissant too flaky. As my Chef in class would say, they’d be Cork Flakes. 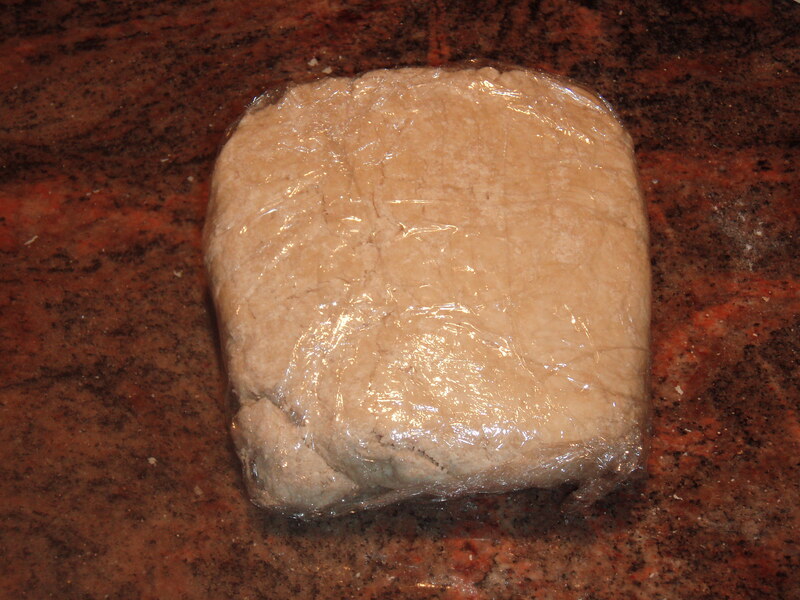 After the last turn, let the dough sit in the fridge for roughly 40 minutes. 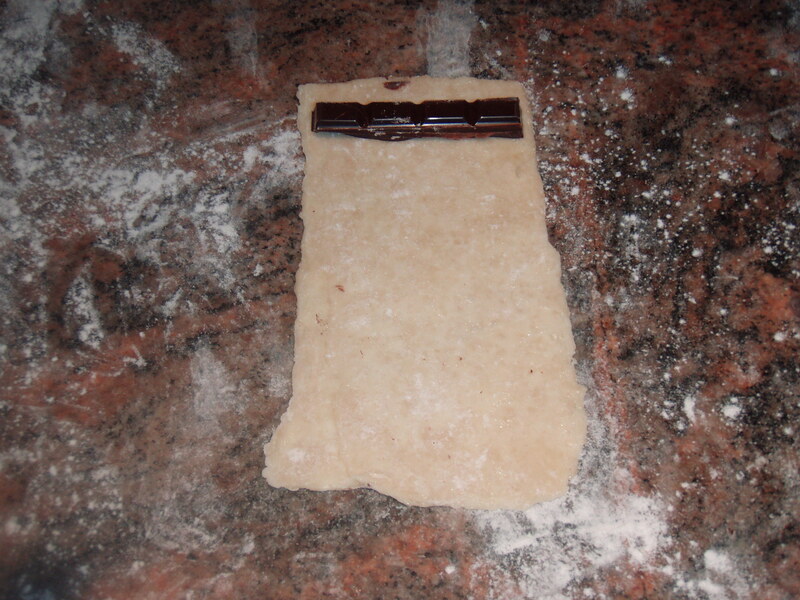 When ready, place the dough on your work surface and cut in half. Roll each half out so that the width is around 8 inches and the length as long as need be to reach 3/8ths of an inch thick. One will be used for plain butter croissants and the other will be for chocolate croissants. 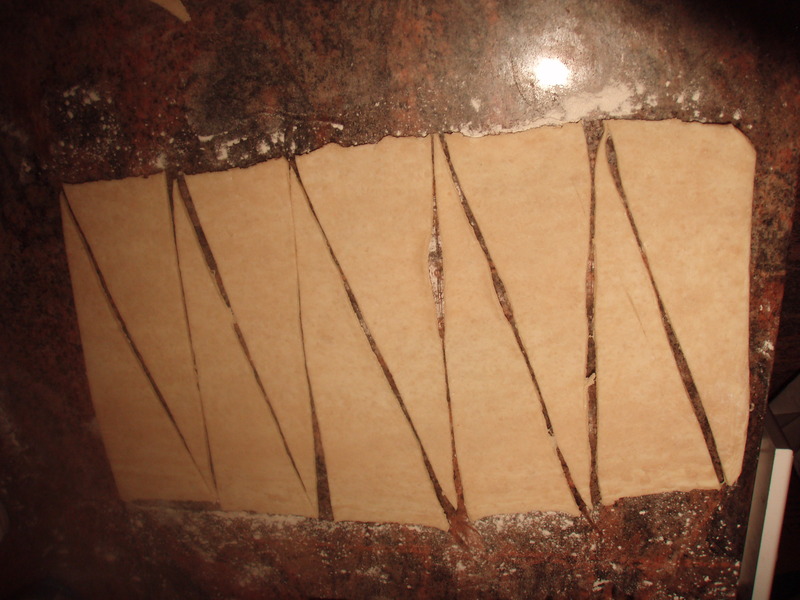 Starting at the bottom left corner, place your knife at an angle to create a right triangle and cut your first piece. 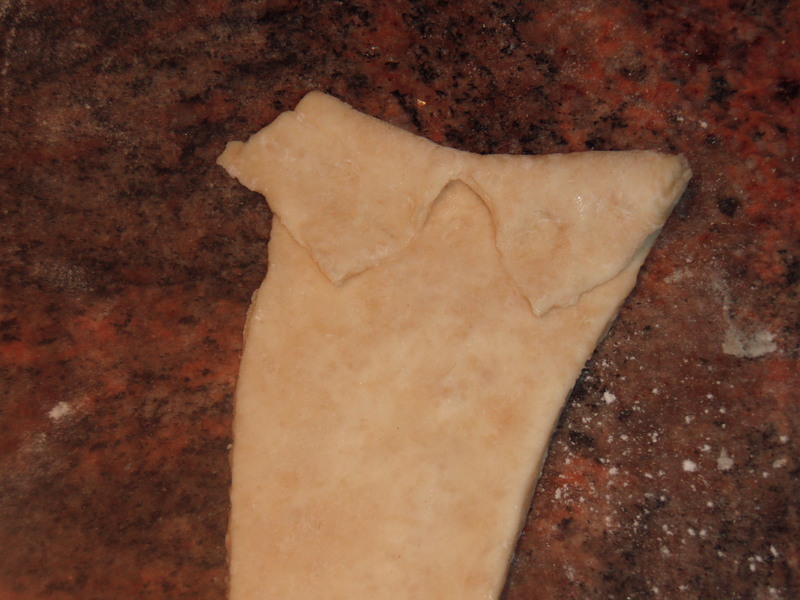 Then, where the tip of your knife just was, cut straight across the dough to create your second piece. Repeat these steps until you reach the top of the dough. Using both hands, place your finger tips at the top and the your thumbs in the center with your hands at a slight angle so that you’re forming an arrow with your index fingers. 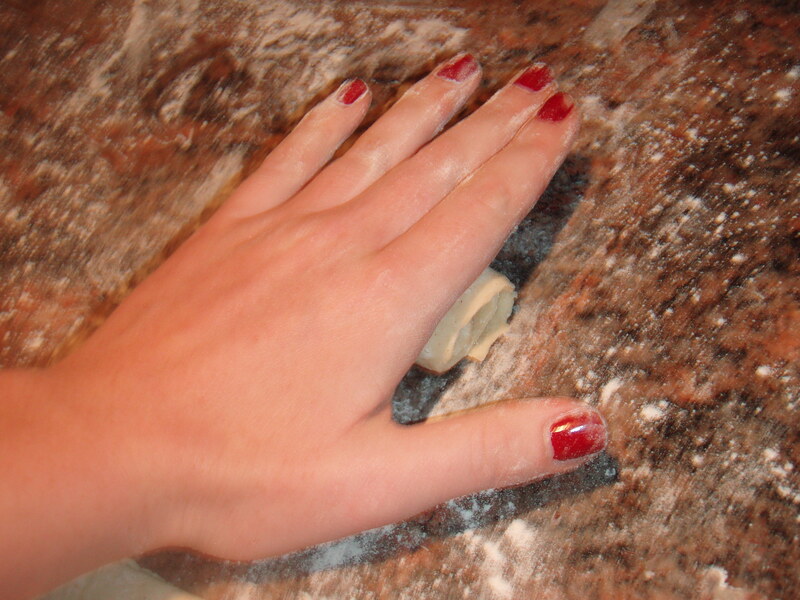 Roll the dough down and out so that you stretch the dough wider as you roll down. Then, when you’ve rolled a little more than half way down place one hand on top of the dough, with the other hand grab the tip of the dough and stretch lightly down as the other hand rolls the dough until your hands meet. 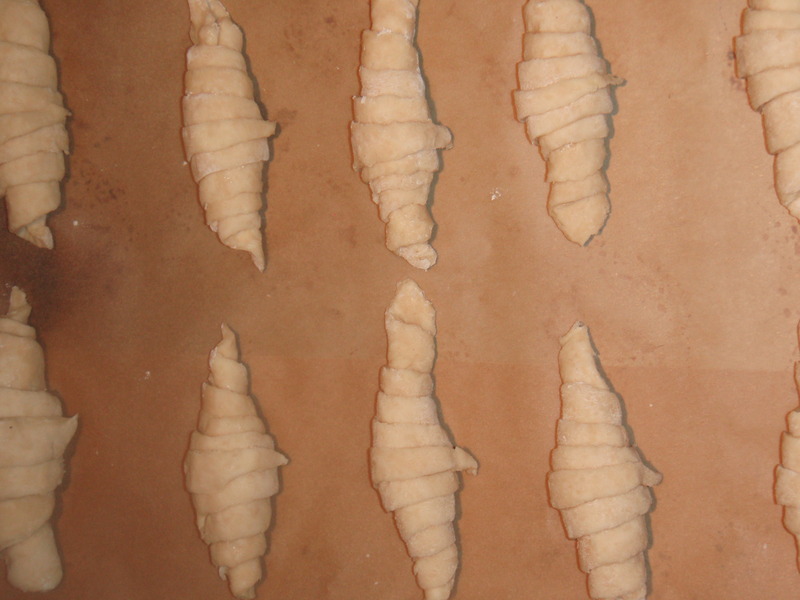 Place the croissant on a piece of parchment paper on a baking sheet with the tip facing down. You don’t want the tip on top, or the croissant will open while rising and/or baking and you don’t want the tip all the way under because that will restrict the dough from rising. 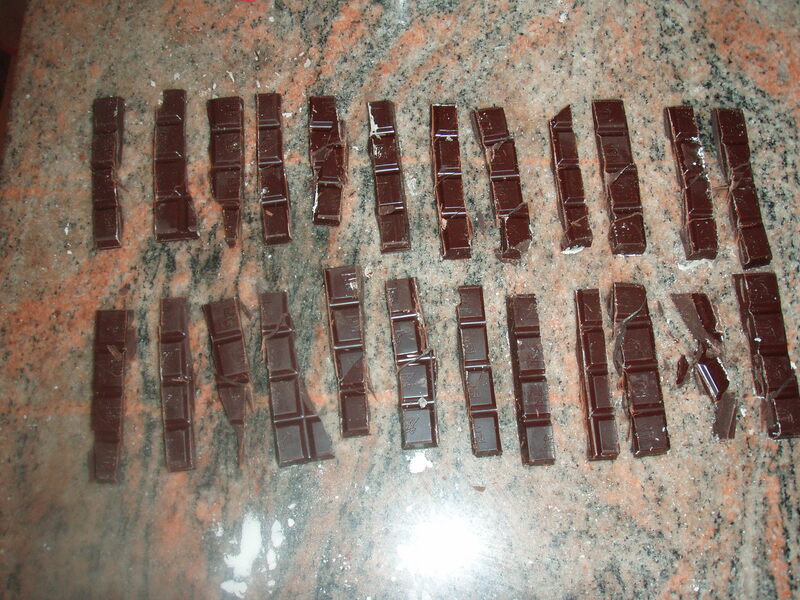 Chop the chocolate into 4 inch long, 1/4 inch wide pieces. 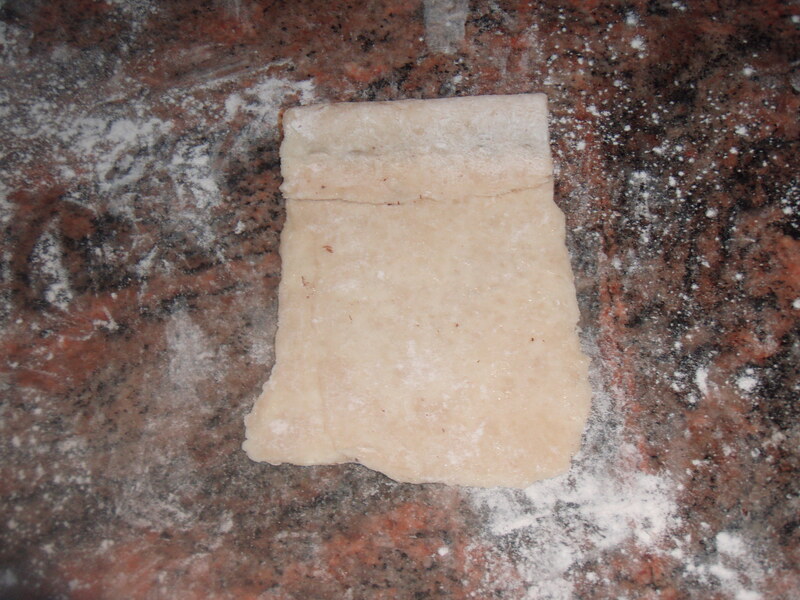 Place the second sheet of rolled puff pastry on a floured surface in front of you. Cut 10 (or as many as you can) rectangles that are a little wider than the length of a chocolate piece and 4-5 inches long. Place a piece of chocolate at the top, roll the top of the dough over the piece of chocolate and press lightly with your fingers. 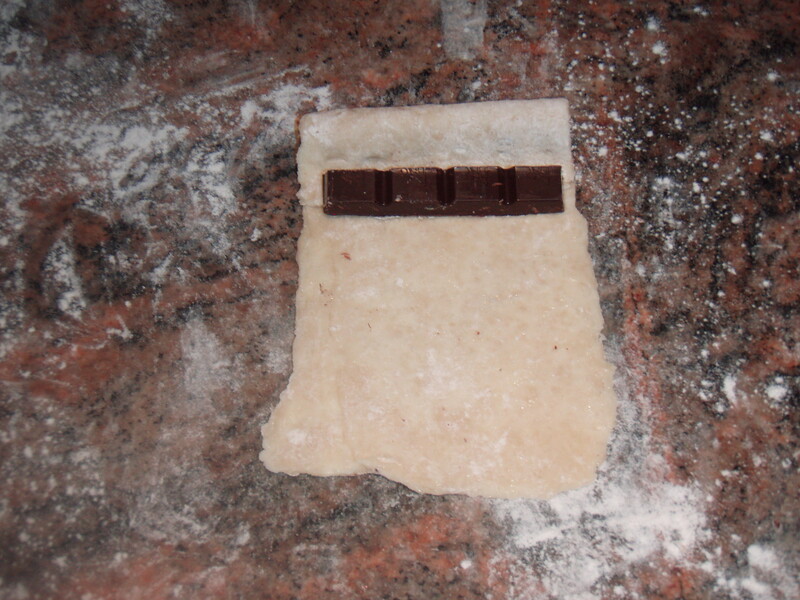 Place a second piece over chocolate just in front and roll the dough over that piece twice until the seam is on the bottom. Place your hand directly on top and press lightly to seal. 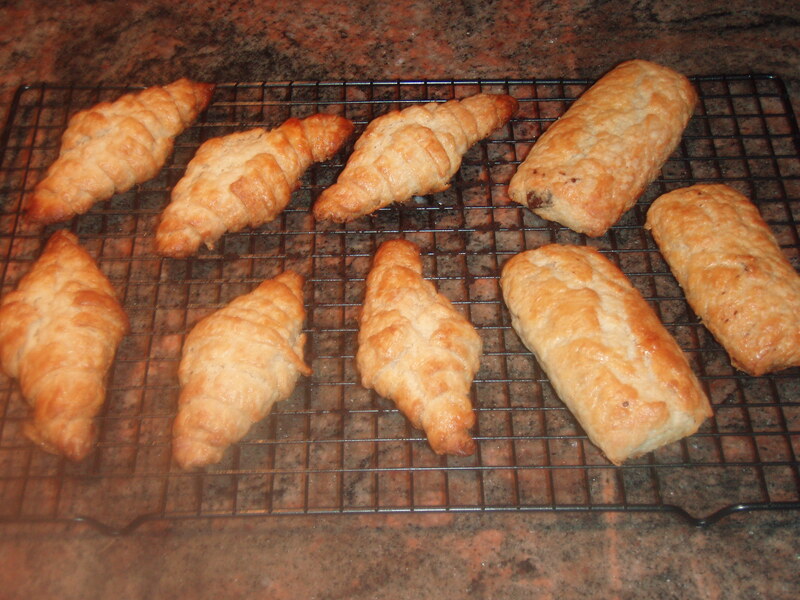 Place the finished croissants, as you did with the butter croissants, on parchment paper on a baking sheet. Once all the croissants are rolled and on their designated baking sheets, its time to proof them (aka let the dough rise). If you recall from the Cinnamon Sugar Pull-Apart Bread I made back in May, I had a great method in college for proofing dough, but it seemed to have failed in my NYC apartment resulting in blown fuses and a dark apartment. Well, luckily for me the problem has been solved! I was talking with another member of my baking class and he mentioned that a great way to proof your dough is to just put the light in your oven on and place the dough in there. The light will create enough heat and it will be undisturbed. It worked like a charm and saved me from the confusion of my fuse box! Anyway, I let the dough proof for roughly an hour to an hour and a half or until they nearly double in size. Once the croissants are proofed, preheat the oven to 350 degrees F and bake for 30-35 minutes or until the tops are golden brown, rotating the pan half way through. Let them cool on the backing sheet for about 5 minutes before transferring them to a wire rack to cool completely. Serve warm with some butter and coffee. * Bread Flour contains 12 to 14 percent protein, whereas all-purpose flour only has between nine and 11 percent protein. 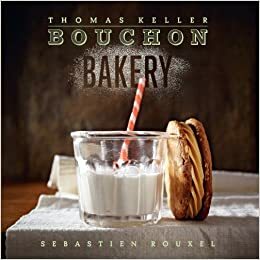 When you use all-purpose flour in a recipe calling for bread flour you can use the exact same amount of flour but you may find that breads take longer to rise or do not have the same density they would have if you had used bread flour.